Our Lady of Sorrows was established in 1980 when a small group of traditionalists purchased the current church site from a Protestant denomination. Over the years, Sunday attendance has steadily grown to an average of 550 faithful. The property is 10.8 acres. It is primarily comprised of the current Protestant-designed church, a growing K-12 Catholic school for 75 students, and a 34-room retreat house. Retreatants come from across North America to attend one or more of fourteen retreats each year. 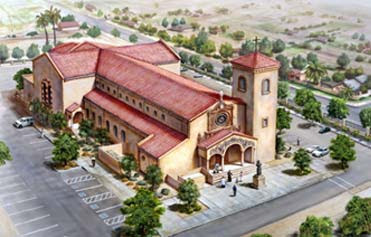 Phoenix also annually hosts one of the two priests' retreats. More than 35 priests and usually a bishop are in attendance. The site also has a priory, other living quarters, a large athletic field, and an orange grove. Four priests reside at Our Lady of Sorrows. They serve the parish as well as nearby missions. With fundraising nearing the end, I would like to promote this initiative so that a chapel may be built in honor of our Lady under the title, Our Lady of Sorrows. Please visit the site to help them in this noble cause. In 1917 the Blessed Virgin at Fatima warned that if her requests to convert Russia were not heeded the agents of Communism would later infiltrate the Church with their errors. Vatican II provided a perfect opening for this Red influence to seep into the Church. The plan in 1962 was to invite the Soviets to the Second Vatican Council which is why certain dissident cardinals met secretly in France before the Council to sign the infamous 1962 Moscow-Vatican Agreement with Archbishop Nikodim. Russia's objective was to subvert the Church through the Council so it was crucial to their plan that the Church first be bound by a treaty that promised there would be no censure of Communism at the Council. Since 1962 the Church's hands and feet have been bound by this treaty while the agents of Communism have been gleefully at work dismantling the Church without censure. "The Vatican should reverse its mistaken support for the renewal of the Communist régimes... It fails to understand that greater apparent official tolerance of religion is accompanied by a secret drive to increase Party and KGB penetration of the Catholic and other churches and to use agents therein for political and strategic purposes. As part of the program to destroy religion from within, the KGB, in the late 1950s started sending dedicated young Communists to ecclesiastical academies and seminaries to train them as future church leaders. These young Communists joined the Church at the call of the Communist Party... to implement its general line [unchanged policy] in the struggle against religion." "It was during those days that I launched on the market the program that would allow Catholics to be accepted by Protestants... I prophesied with assurance the suppression of Latin, of priestly vestments, of statues and images, of candles and prie-dieu (so that they could kneel no more). And I also started a very active campaign for the suppression of the Sign of the Cross. This Sign, and also genuflections, are all ridiculous customs. I also prophesied (and we were then in 1940) the disappearance of altars, replaced by a completely bare table, and also of all the crucifixes, in order that Christ be considered as a man, not as a God. I insisted that Mass be only a community meal, to which all would be invited, even unbelievers... I searched for the means of suppressing the Pope. I consoled myself by hoping that we would surely succeed in making him look foolish." Manning Johnson, a former official of the Communist Party in America, gave the following testimony in 1953 to the House Un-American Activities Committee: "Once the tactic of infiltration of religious organizations was set by the Kremlin... the communists discovered that the destruction of religion could proceed much faster through the infiltration of the Church by communists operating within the Church itself. The communist leadership in the United States realized that the infiltration tactic in this country would have to adapt itself to American conditions and the religious makeup peculiar to this country. In the earliest stages it was determined that with only small forces available to them, it would be necessary to concentrate communist agents in the seminaries. The practical conclusion drawn by the Red leaders was that these institutions would make it possible for a small communist minority to influence the ideology of future clergymen in the paths conducive to communist purposes.... The policy of infiltrating seminaries was successful beyond even our communist expectations." Russia today continues with its plan to subdue the Church and the world but their strategy at this time is to conceal this plan under the guise of a collapse of power. As they finalize their plan for world conquest they don't want the world to suspect what they're about to do (invade), so the Bear is simply playing dead while secretly promoting this global pacifism (green peace) that advocates the overthrow of the establishment. This pacifist delusion of the last times is especially evident in the Church with the false security that all are forgiven and that a day of sunshine has dawned upon Christianity. (New Pentecost) The agents of Communism infiltrated into the Church with a plan to erase from our minds any notion of punishment or divine justice so that when this scourge (Russia) came upon society and the Church we would not be ready. If only the world had listened to Pope Paul's warning about Satan in the Church! With all that has transpired in the past forty years it somehow hasn't dawned on the faithful that the ancient serpent reared its head at Vatican II and challenged the Faith to a dual! It was this very onslaught against the Faith that the Blessed Virgin was attempting to alert us to in her message at Fatima. [Third Secret] The same prompted the Holy Father's S.O.S. of June 29, 1972: "From some fissure the smoke of satan entered into the temple of God." This is a guest post by David Martin of Our Lady's Workers of Southern California, republished with permission. On days when I am not able to attend Holy Mass, I find it comforting to listen to the holy chants of Mass. This video was taken this year of Mass said on Corpus Christi. Lately I have had the unfortunate reality of encountering several individuals that have been confused regarding the nature of our Divine Lord. Recall, that our Blessed Lord, the Savior of the world, has said, "Be perfect just as your Heavenly Father is perfect" (Matthew 5:48) and only by imitating our Lord can we attain the perfection required to enter Heaven. For those of you who desire greater intimacy with our Lord by imitating Him, I can not highly recommend enough the work of Thomas A Kempis in The Imitation of Christ. It has come up in conversation as of late with individuals that our Blessed Lord was both a divine and a human person. This is not correct. It is true that it is a dogma of our Faith that our Lord has both a perfectly divine and a perfectly human nature, the only one in the history of the world to have both. However, our Lord is not a human person, even if He has a human nature. Rather, our Lord is a Divine person. Understanding this is necessary to knowing our Lord and imitating Him. As the Compendium states, "The Church calls the mystery of the wonderful union of the divine and human natures in the one divine Person of the Word the 'Incarnation'" (Paragraph 86). There has also arisen in converation lately and even in some comments on A Catholic Life, that our Lord is our "brother." 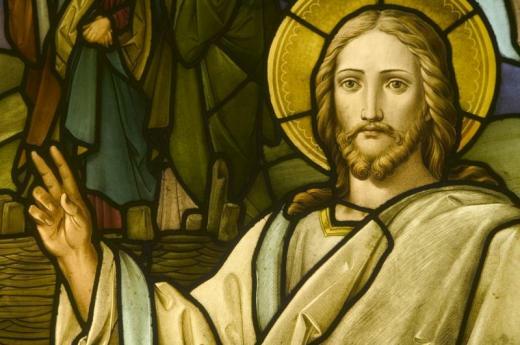 While it is true that our Blessed Lord has made us sharers of the glory to come, He never refers to the apostles in the Gospels as His brother. Instead, He refers to Himself as their friend (cf Matthew 26:50), even as He is being betrayed and delivered up to the cruelty of death. Try to put these realities together - the only Divine Person in the history of the world is our friend. This reality should be the source of great consolation and peace. However, this friendship, like the protestants would claim, is not guaranteed. We are not guaranteed to be "saved." Our Lord says, "If you love me, keep my commandments " (John 14:15). If we are His friends, then we will love Him. How can someone remain another's friend without loving them? It is not possible. And yet, our Lord says that if we love Him, our deeds shall manifest our love. How can we truly say that we are friends of our Lord and worthy of divine filiation and redemption if we do not keep His Commandments (and therefore do not love Him)? It is truly meet and just, right and for our salvation, that we should at all times, and in all places, give thanks unto Thee, O holy Lord, Father almighty, everlasting God: through Christ our Lord. Who, after His Resurrection, appeared openly to all His disciples, and, while they looked on, was taken up into Heaven, that He might grant unto us to be sharers in His own divinity. 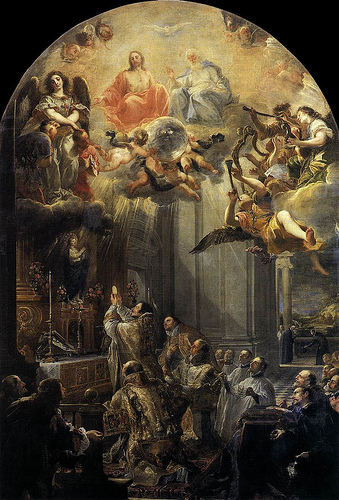 Our Lord ascended into Heaven so that we might become sharers of His own divinity. The only Divine Person in the world that has extended to us friendship, has made it possible that we mere mortals can share in the divinity of the One True God. What marvel is this! O How Great is our Redeemer. Praised be to Him! Preface: For a listing of hundreds of prayers with indulgences and special blessings attached to them, be sure to refer to a copy of the Raccolta often. Click here to order one. Jesus Christ a King of Glory has come in Peace.† God became man,† and the Word was made flesh.† Christ was born of a Virgin.† Christ suffered.† Christ was crucified.† Christ died.† Christ rose from the dead.† Christ ascended into Heaven.† Christ conquers.† Christ reigns.† Christ orders.† May Christ protect us from all storms and lightning† Christ went through their midst in Peace,† and the word was made flesh.† Christ is with us with Mary.† Flee you enemy spirits because the Lion of the Generation of Juda, the Root David, has won.† Holy God!† Holy Powerful God!† Holy Immortal God!† Have mercy on us. Amen! O God, Master of this passing world, hear the humble voices of your children. 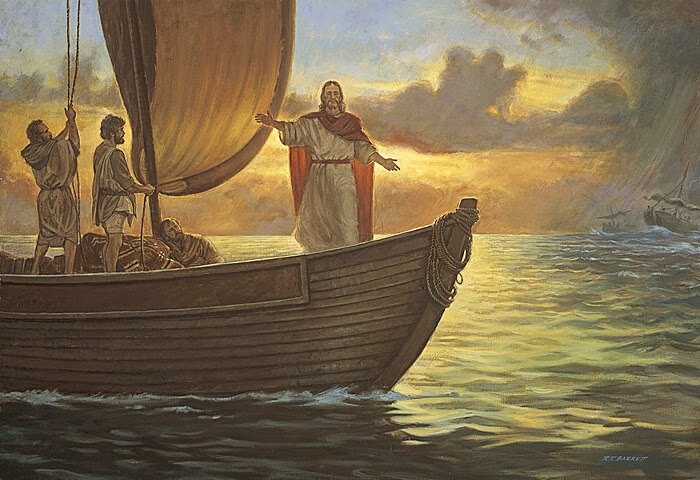 The Sea of Galilee obeyed your order and returned to its former quietude; you are still the Master of land and sea. We live in the shadow of a danger over which we have no control. The Gulf, like a provoked and angry giant, can awake from its seeming lethargy, overstep its conventional boundaries, invade our land and spread chaos and disaster. During this hurricane season, we turn to You, O loving Father. Spare us from past tragedies whose memories are still so vivid and whose wounds seem to refuse to heal with the passing of time. O Virgin, Star of the Sea, Our Beloved Mother, we ask you to plead with your Son in our behalf, so that spared from the calamities common to this area and animated with a true spirit of gratitude, we will walk in the footsteps of your Divine Son to reach the heavenly Jerusalem where a storm-less eternity awaits us. Amen. 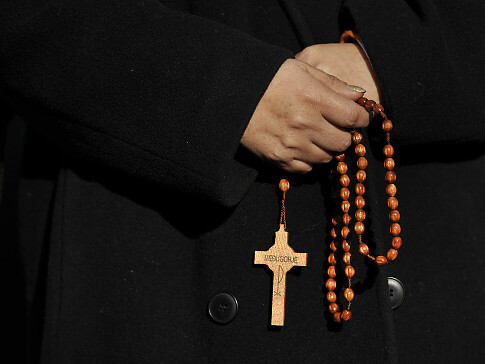 The chaplet is said by starting with the Crucifix and reciting the Apostles' Creed, then the Our Father, followed by three Hail Mary's on the group of three beads nearest the Crucifix. First Hail Mary in praise of God the Father; Second Hail Mary in petition or (request); Third Hail Mary in thanksgiving with confidence that your request will be granted. Instead of the Glory be to the Father..., recite "Holy God, Holy Omnipotent One, save us who dwell in this land." On EACH decade, instead of the Hail Mary, recite "Jesus Savior, merciful Savior, spare your people." 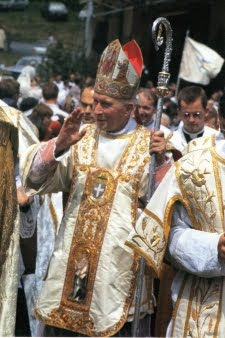 Upon completion of the final decade, recite "Son of God, Eternal Son, thank You for the things You have done. Amen." I have in the past written on the benefits of the Brown Scapular and today added to my prior post this video. Please do not forget about the benefits of the Brown Scapular and the eternal rewards from wearing it. If you have fallen away from using it, come back to the Scapular. Always remember the words of our Lady: "Whoever dies wearing this scapular shall not suffer eternal fire." Are SSPX Ordinations Illicit or Invalid? Secondly, there is the legal correctness of our situation. In November 1970 we obtained the authorization of the Bishop of Fribourg to form a fraternity in his diocese and to open seminaries according to a statute which was subsequently approved by Cardinal Wright, Prefect for the Congregation for the Clergy. It is difficult to understand how after five years suddenly there was the wish to suppress the seminary when we had changed nothing and done absolutely nothing to deserve the suppression. The accusation of separation and of schism made against us because we refuse to participate in the protestantization of the Church is ridiculous! It is, however, deserved by those who foment that same protestantization. Among them are those who have for a long time fallen away from the Catholic Faith and yet, in common with all the heretics of history, work to try to make the Church become like them and conform to their ideas. We cannot understand how intelligent people can state that they “prefer to err with the Pope rather than to be with truth against the Pope.”.. The priests we ordain today and all their brothers of the Society of St. Pius X are at the disposal of the Pope and of the Church at any moment to collaborate in the work of restoring omnia in Christo, that is, of bringing back Christ to the center of family and social life, of education and every juridical order. O Lord, Our God, have mercy on us sinners! Today is Friday, the day in which we commemorate Our Lord's passion and death. 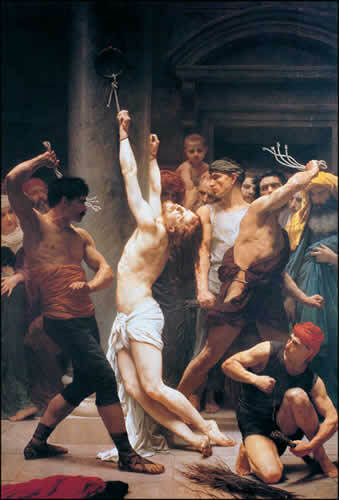 It was our own sins that condemned our glorious Lord to death on Good Friday - death on a Cross. As Catholics, we are still bound to either abstain from meat or rather to do some act of penance each Friday in the entire year. It was on this day of the week that our glorious Redeemer died for us. Please, never forget this, especially at 3 o'clock, the hour that He died. At 3 o'clock attempt to pray the 3 o'clock Mercy Prayer. Please remember Our Lord's love and repent today. Can. 1249 All Christ's faithful are obliged by divine law, each in his or her own way, to do penance. However, so that all may be joined together in a certain common practice of penance, days of penance are prescribed. On these days the faithful are in a special manner to devote themselves to prayer, to engage in works of piety and charity, and to deny themselves, by fulfilling their obligations more faithfully and especially by observing the fast and abstinence which the following canons prescribe. Can. 1250 The days and times of penance for the universal Church are each Friday of the whole year and the season of Lent. Can. 1253 The Episcopal Conference can determine more particular ways in which fasting and abstinence are to be observed. In place of abstinence or fasting it can substitute, in whole or in part, other forms of penance, especially works of charity and exercises of piety. 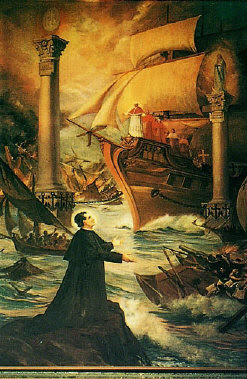 Today is also a great day to pray the Stations of the Cros. Please join me in praying the Stations of the Cross. Remember, it was on this day that He gave up His life all for you. I adore You, O glorious Cross, which was adorned with the Heart and Body of my Savior Jesus Christ, stained and covered with blood. I adore You, O Holy Cross, out of love for Him, Jesus, who is my Savior and my God. (Pope Pius IX declared that reciting this prayer five times on Friday will free five souls from Purgatory and 33 souls by reciting it on Good Friday. This prayer should be recited before a crucifix with a contrite heart and praying a few minutes for the Pope). My good and dear Jesus, I kneel before you asking you most earnestly to engrave upon my heart a deep and lively faith, hope, and charity, with true repentance for my sins, and a firm resolve to make amends. As I reflect upon your five wounds, and dwell upon them with deep compassion and grief, I recall the words the prophet David spoke long ago concerning yourself: they have pierced my hands and my feet, they have numbered all my bones! Lamb of God, who take away the sins of the world, spare us, O Lord!. Lamb of God, who take away the sins of the world, graciously hear us, O Lord!. Lamb of God, who take away the sins of the world, have mercy on us. .
Let us pray. Almighty and eternal God, you have appointed your only-begotten Son the Redeemer of the world, and willed to be appeased by his Blood. Grant we beg of you, that we may worthily adore this price of our salvation, and through its power be safeguarded from the evils of the present life, so that we may rejoice in its fruits forever in heaven. Through the same Christ our Lord. R. Amen. Upon consecration of the bread and chalice at Mass the substance of bread and wine ceases to exist and becomes the very substance of Jesus Christ without sharing in any other substance. The acknowledgment of this supernatural Mystery is the first and foremost requirement placed on us by the Church in order to receive Holy Communion, without which one may not receive Communion. Today, according to the Traditional Catholic Calendars of 1962 and previous, is the Feast of the Most Precious Blood of Our Lord Jesus Christ. After Vatican II, this feastday was combined with Corpus Christi. In the 1969 Calendar, Corpus Christi is officially called the Solemnity of the Body and Blood of Christ. 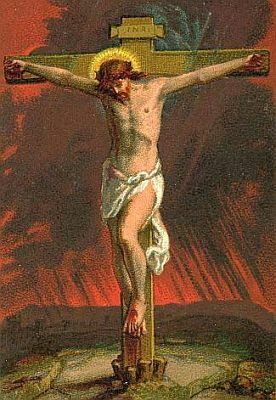 However, for those Catholics who like to follow the Traditional Calendar, today is a day to especially remember the price of our salvation - the Blood of Jesus Christ. Today we remember His blood spilt not only on the Cross but also in the Circumcision, Agony in the Garden of Gethsemane, Scourging at the Pillar of Flagellation, and the Crowning with Thorns. Today we celebrate the feast of the Most Precious Blood of Our Lord Jesus Christ. 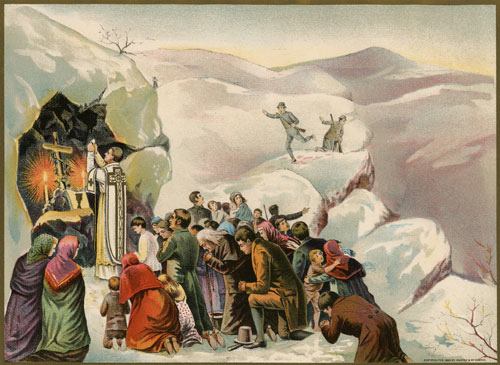 This feast was instituted in 1849 by Pope Pius IX and was raised to the rank of a double of the first class by Pius XI on the occasion of the nineteenth centenary of our Savior's death. We are reminded of the scene of Calvary and of the blow from the lance which pierced our Savior's side. The liturgy today is at pains to emphasize the meaning and tremendous significance of this fact in relation with our salvation. The Gospel and the Epistle are concerned with our Redemption, effected by the Blood and the love of our Savior. God so loved the world that He gave His only begotten Son. The Son's love was so great that He gave His very life. No greater love is there than to give one's very life for the ones that he loves. Not only did our Lord sacrifice His very life, but He so arranged that this sacrifice would continue to the end of time. He daily offers Himself up in an un-bloody manner in the Sacrifice of the Mass. Here upon the holy altar Our Lord makes Himself present under the appearances of bread and wine through the miracle of transubstantiation. Here too the sacrifice is complete. Christ is made present and then destroyed for our salvation. St. Paul to the Corinthians says: "The chalice of benediction which we bless, is it not the communion of the blood of Christ? And the bread which we break, is it not the partaking of the body of the Lord?" We were not present to witness the awesome bloody sacrifice of God in atonement for our sins. We did not stand beneath the cross to receive the last drops of His precious blood upon our souls. Yet, we are still able to receive these same graces. We are able to follow our Lord spiritually to Calvary every time we assist at Mass. It took great courage, conviction, and even more so, love to follow our Lord to Calvary. There were not many who had this love, conviction or courage. The majority of the Apostles were found wanting in this area. They had much to fear from a worldly point of view. They did not wish to receive the same fate as their Master. We have a much easier path to follow. Our Lord remains hidden, but is present nonetheless. He invites us to participate in this sacrifice, and we now have nothing to fear from the world. Perhaps the worst that we will receive today from the world is mockery, ridicule and scorn; but even this is rare in the worldly indifference of today. Not only is our path easier to follow because we do not have to fear the physical persecution of the world, but it is also much more intimate. In the Sacrifice of the Mass we are able to unite our sacrifices with Christ's and we are able to receive Him into our own bodies and souls. He comes to us the living Christ (Body, Blood, Soul and Divinity). He comes to us in a manner that will not frighten or shock us, hidden under the appearance of bread and wine. He makes Himself very docile to us and allows us not only to approach Him, but even to consume Him. In this manner we are able to unite ourselves with Him, and He with us. 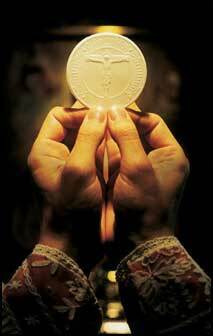 This is the most precious time -- the time of Communion. The all powerful and all merciful God becomes the guest of our very bodies and souls. Here is the point where Heaven and earth meet, and all that is in disorder is easily righted. Christ is truly our guest, but we are the beneficiaries of His benevolence. He wishes for us to receive Him so that He may give to us. The words of St. Francis ring most truly in Holy Communion: "It is in giving that we receive." May we truly realize the words from today's Post-communion: "We have been admitted, Lord to the Holy Table, and we have drawn water with joy from the fountains of the Savior; may His Blood be for us, we pray, a fountain of water springing up to eternal life. Who being God lives and reigns." Almighty and everlasting God, Who didst appoint Thine only-begotten Son to be Redeemer of the world, and dist vouchsafe to be appeased by His Blood: grant, we beseech Thee, that (by our solemn service), we may so venerate the Price of our redemption, and by its power be so defended from the evils of this present life on earth, that we may enjoy its fruit for evermore in heaven. Through the same our Lord.